Do I need hub ring? 2010 2011 BMW 5 Series Forum F10 F10 Technical Topics Wheels / Tires / Suspension / Brakes Do I need hub ring? New wheels have a bore difference from the hub of .54. Discount Tire is having trouble finding hub rings that small. What do you think? Will I need them? They can have them custom made, they think. A half inch? Yeah, you'll need hub-centric rings to prevent vibration. I've had so much trouble with centering rings; from not the EXACT size to dissimilar metal corrosion; that I'll only put factory wheels on my cars. Hub bore is 72.65mm, wheel bore is 73.10mm. I'm getting a bit of vibration. They've been balanced twice. It was better after second balancing but still a bit there. I hit a site for custom hub rings and they require at least 1.4mm difference, so I may be out of luck there. That's enough to cause a vibration. I still had a vibration with only a .3mm difference. Some chassis' are more susceptible to minor imperfections than others. After a third balancing, the wheels seem to be doing ok, so far. Wondering if I'll be ok with these wheels, or just asking for trouble. Discount Tire's 'fitment guy' says the wheels should be fine. Thoughts? BTW, they let me know they are having issues with their balancers nationwide, in case anyone here uses them. Tell your shop to turn off 'Smart Balance' and use 'Technical Mode'. My shop also used a new wingnut as worn wingnuts can cause issues. I bought a set of wheels from Discount Tire once... I'll not make that that mistake again. I ended up buying 5+ sets of centering rings and got the vibration down a LOT, but it never quite went away. They claimed the wheels were bent (wouldn't show the "bend" to me, either), though I never hit a pothole. In my opinion you are asking for trouble. You don't have the proper fitment. a machine shop and have some rings made to take up same slack. Where do folks get their wheels from? Only BMW? I'm partial to BMW's OEM wheels so I wouldn't go aftermarket. That said, I would only purchase BMW OEM wheels; from wherever I could. 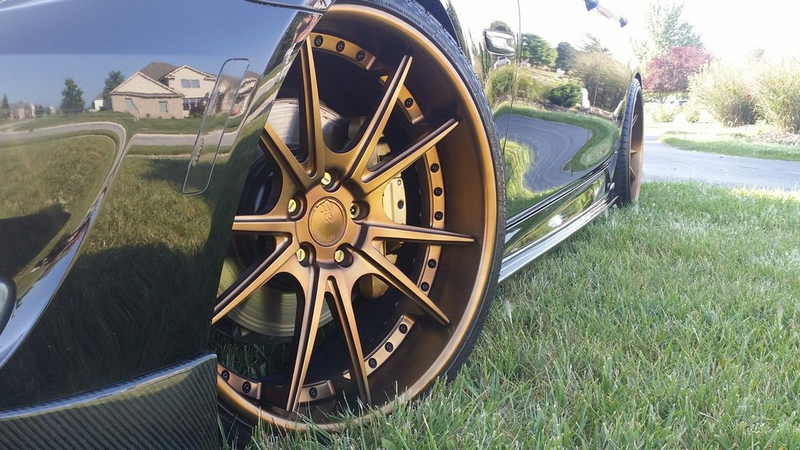 I would look at eBay, wheel web sites, any place that sells OEM wheels. I wouldn't be afraid of refurbished wheels, however, I'd be leery of repaired wheels. Returning the Discount Tire wheels and tires and heading over to the bmw dealer. Probably just put winter rubber my oem 19s.